Grew Up… getting her own way. It seems that whatever her childhood may have been like, Brigid carries with her a sense of drive and acquisition; anything can be bought, at a price. Brigid also shows damage and pain from her past, something that makes her tender in some ways, and callous in others. Living… in 1930s San Francisco. The city is dark and gritty. Competing interests collide, and deceit is the strategy du jour – something that Brigid offsets by knowing who trust and how to be trusted. Challenge… determining what her true interests are – what is real and what is an affect, used for personal gain. As Brigid deceives others, she also deceives herself. 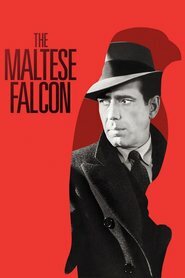 Can her attraction to the Maltese falcon be overcome by feelings she has for Spade? Or are her romantic feelings themselves a fabrication, concocted to endear herself to a strong man who can help her obtain the falcon? Even Brigid herself may not know. Brigid O'Shaughnessy's popularity ranking on CharacTour is #3942 out of 5,000+ characters. See our top-ranked characters and read their profiles.